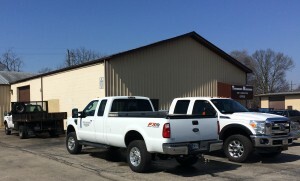 Touchdown Machining Inc. is a full service job shop located in Columbus Indiana specializing in Hard Turning with 24/7 service offered. Our focus is on quality and service. 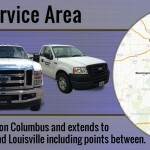 Service range of Columbus extending to Indianapolis IN, Cincinnati OH, Louisville KY.
We have a customized approach to quality and delivery to meet and exceed your companies’ requirements. 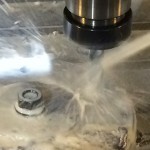 We offer a broad range of machining services while specializing in: Production Tooling, Fixturing, Extrusion Dies, Gauging, and Prototype Tooling. 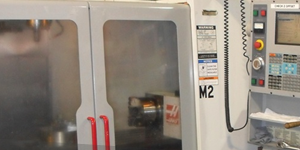 Our equipment consists of Okuma and Haas CNC Vertical Machining Centers and Okuma CNC Lathes. 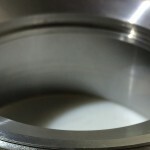 We also offer grinding and welding services in addition to a Mitsubishi Wire EDM, Ingersoll Die Sinker, several Knee Mills in our Manual department, and a CNC Sheffield CMM to verify our parts meet and exceed your requirements. We complement our machining services by using the latest in CAD/CAM Software such as AutoCAD and Mastercam. In most cases we can import your model or wire frame drawings into Mastercam and create programs for our CNC Machines. We track your orders through the shop using JobBOSS software. JobBOSS allows us to track a job from the initial quote through final shipment. We understand the importance of keeping your production lines running, when the unexpected happens and you need replacement parts or repairs done quickly we are there for you 24 hours a day, 7 days a week. We will go above and beyond to do what is required to get you running again including turnarounds in under 24 hours. Our dedicated team of machinists have the knowledge, training, and experience to meet and exceed your requirements. Specializing in hard turning, we are able to produce a finish that is comparable to others ground finishes. Our machinists commonly work within tolerances of single digit tenths and can meet as fine as microns if necessary. Using the latest in CAD/CAM software from AutoCAD and Mastercam we will design the 3D models to manufacture your product. If you already have wireframes or CAD files available, we can usually utilize them to lower your costs. If CAD files do not currently exist, we can extract the design information in order to reproduce the part. Taking advantage of our portable coordinate measuring machine we are able to perform onsite inspections of parts that are difficult to remove or would interrupt production. For parts which are easily removed and transportable, we can utilize our in house CNC coordinate measuring machine. 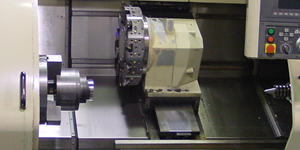 Our CNC lathe department is composed of 4 Okuma lathes and 1 Kingston lathe. 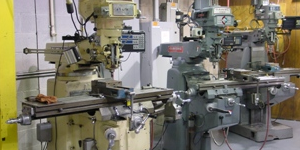 Our capabilities include hard turning, wobble broaching, and live tooling. Lathe sizes ranging from small for delicate work to large with up to 12.5” thru the bore. 4 Haas mills make up our CNC milling department. Each mill is equipped with a 4th axis/rotary table with a travel capacity of up to 64” x 32” x 30”. 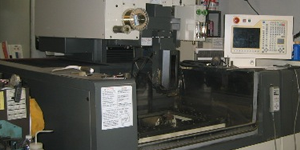 Our EDM capabilities include wire and EDM drilling. We perform 100% inspection using our Shefield CNC CMM so that you can be sure every part will meet your requirement. 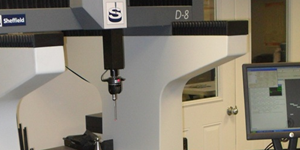 We also offer onsite inspections using our FARO Arm portable CMM. 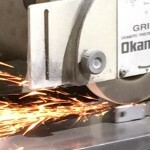 Manual mills and lathes, surface grinders up to 16 x 32. 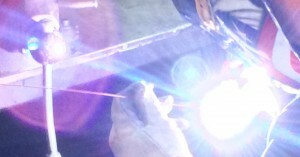 Mig/Tig Welding. We also offer in house heat treat/flame hardening. Stock wide range of materials from CRS/HRS, Tool Steels, Aluminum, Stainless, Titanium, Ampco Bronze, plastics, nylons. If you have any questions or would like any additional information about our services or capabilities, please feel free to contact us by the method which is most convenient for you. We are open 24 hours a day, 7 days a week. Thank you for your interest in joining our team, we are always on the lookout for talented machinists to join us. Please submit your resume to jobs@touchdownmachine.com. © 2015 Touchdown Machining, Inc.